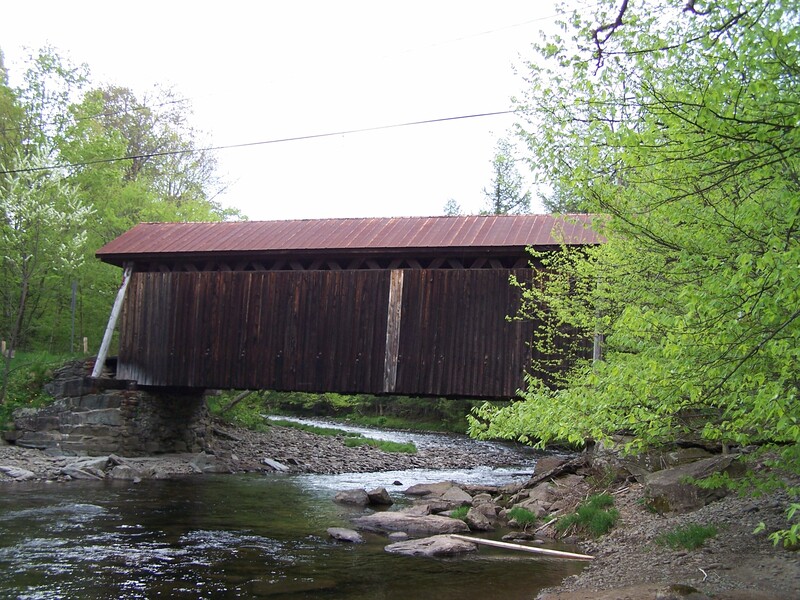 Bendo Bridge was originally built by John Davidson in 1860 in Livingston Manor. It was moved to its present location in 1913 and with the changes it has gone through, it does NOT qualify for the National Register of Historic Places. It is located in the Town of Rockland on Conklin Hill Road, 2 miles west of County Route 84, 4 miles north of State Route 17. 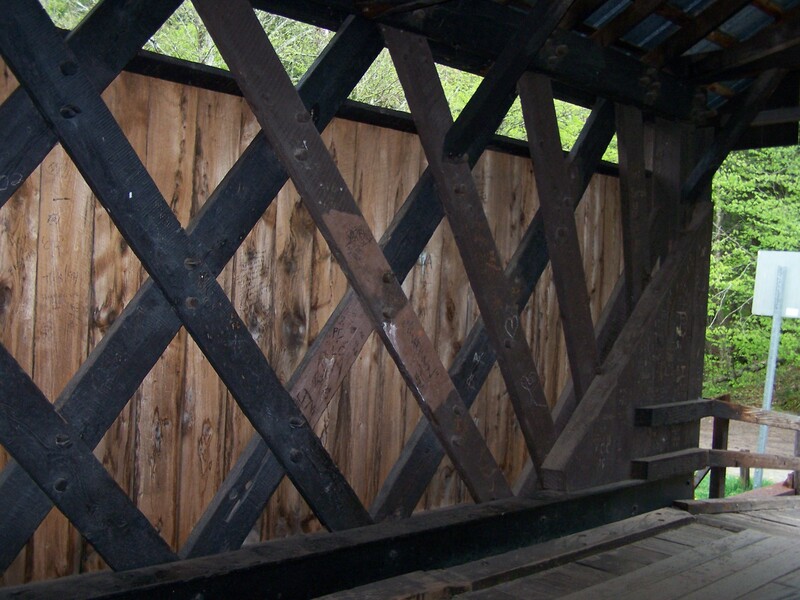 Located over Willowemoc Creek, it is a single span of 48 feet of Town truss. 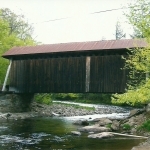 The Bendo Covered Bridge is one of four covered bridges still standing in Sullivan County. 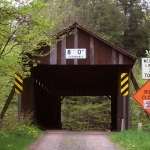 It is owned and maintained by the county and carries limited local traffic across Willowemoc Creek. 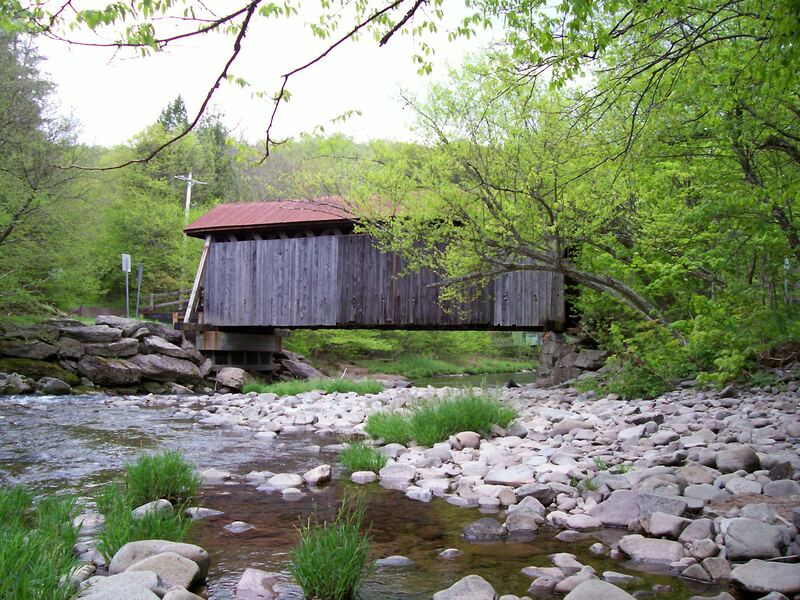 The Willowemoc Creek is well known as one of the best fishing creeks in the area. 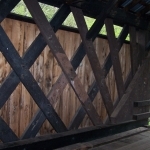 Originally built by John Davidson in 1860 in Livingston Manor, New York, this 48-footlong, single span structure incorporates a Town lattice truss design patented on January 28, 1820, and again in 1835 by Ithiel Town of New Haven, Connecticut. 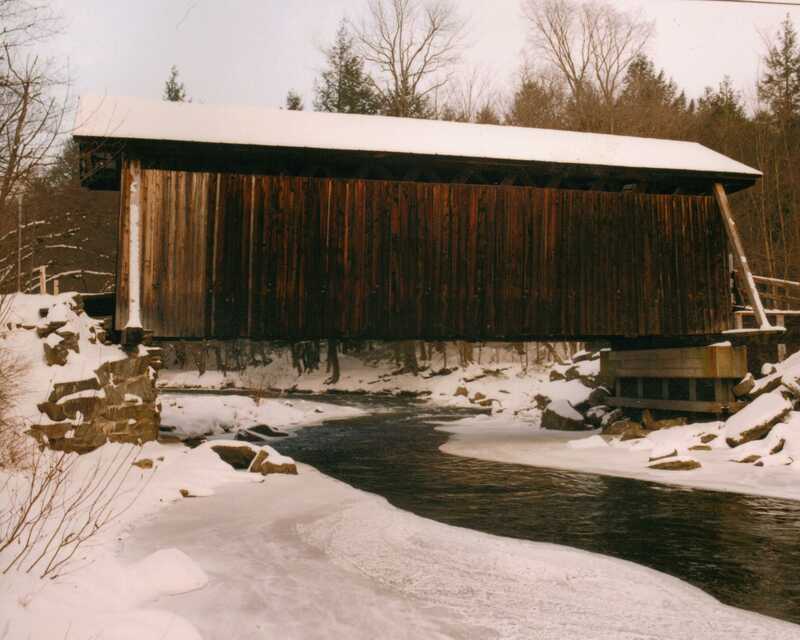 The Bendo Covered Bridge is one of five covered bridges in New York State that has a timber approach. 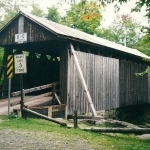 The original Town truss design no longer actually supports this bridge as it was originally designed to do, so it is now classified as a Stringer. 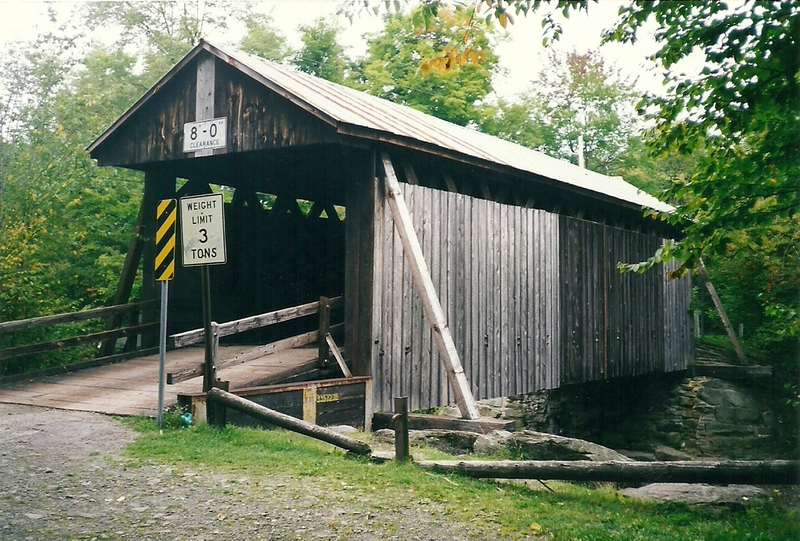 When originally built in Livingston Manor, it stood just off Main Street and a small, open King post span was connected to one end of the bridge. 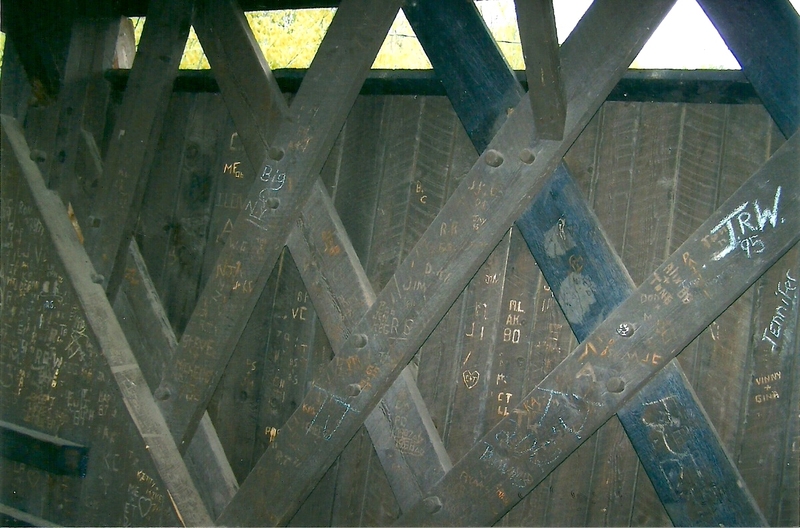 Older photographs of the covered bridge’s interior show the bridge covered with numerous old advertisements. 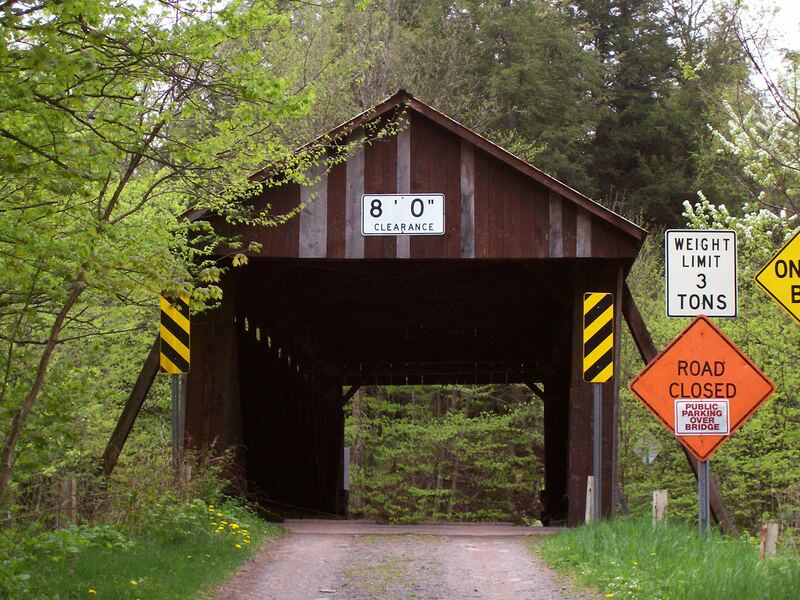 This was typical in many covered bridges, as what better place for advertisements you wanted folks to see than on a bridge everyone traveled. In 1913, the village decided to build a new bridge. 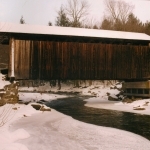 Half of the covered bridge was moved to its present location, crossing Willowemoc Creek, where it still stands today and is known as the Bendo Covered Bridge. When it was re-erected, the bridge was shortened to 48 feet. 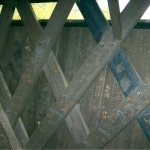 When visiting this bridge, be sure to notice the treenails (pronounced “tunnels”) holes in the decking. You will see where parts of the original bridge were used in the reconstruction process. On October 23, 1970, high waters on the Willowemoc Creek undermined one of the abutments, dropping one end of the bridge into the creek below. A short time later, a crane gently lifted the bridge and placed it onto the nearby creek bank, where it rested until the spring of 1971. Repair work continued throughout the spring and summer of 1971, with the state spending $65,000 for repairs. By early fall, it was ready for limited local traffic. 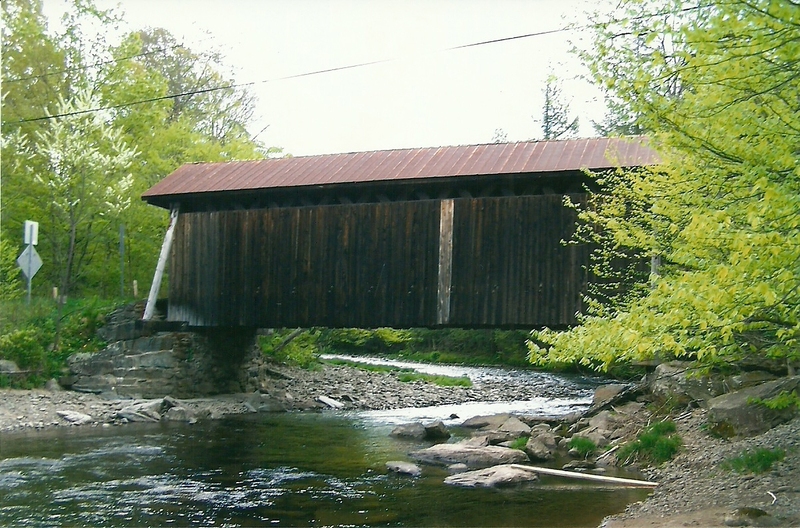 In 1985, it was once again rebuilt but this time without functional trusses so it is now considered a Stringer. 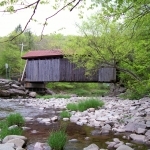 The Bendo Covered Bridge plays an integral role in the activities of the adjoining campground where it proudly stands. 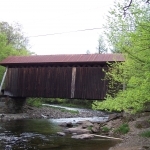 From Exit 96 off State Route 17, go almost 6 miles east on County Route 82 to Debruce, then 2 miles right on Willowemoc Road, then right onto Covered Bridge Campsites and the bridge. During “season” this is a nice place to camp while enjoying visiting covered bridges for the entire weekend.